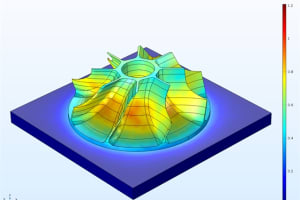 Is the Future of All Engineering Simulation in the Cloud? Although cloud-based engineering software applications are really nothing new anymore, there has been a definite uptick in what’s available online over the past couple of years. 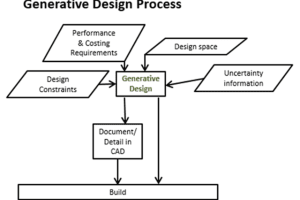 For example, there are cloud-based systems for computer-aided design (CAD), rendering/visualization, product data management (PDM), product lifecycle management (PLM), enterprise resource planning (ERP), manufacturing execution systems (MES) and simulation. 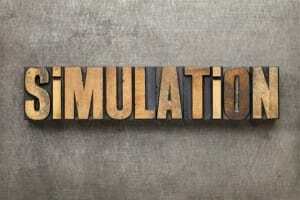 Specifically, simulation is a natural fit as a cloud-based application because it can be computationally intense, requiring a lot of computing horsepower. 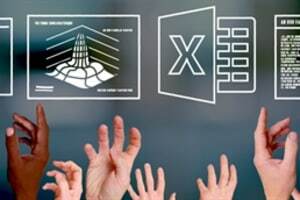 Instead of incurring the cost and burden of expensive desktop workstations doing the heavy lifting, for an increasing number of organizations, cloud-based simulation makes a lot more sense. 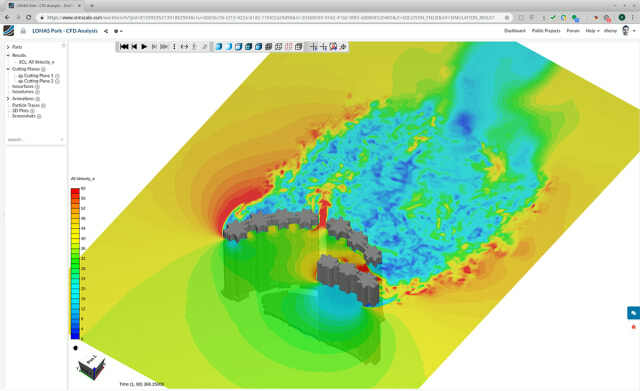 Some of the more innovative takes on cloud-based simulation are offered by SimScale, a company that provides modules for computational fluid dynamics (CFD), finite element analysis (FEA) and thermal simulation. 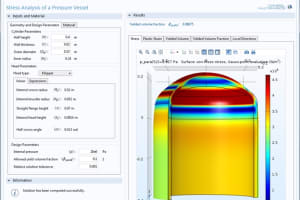 The FEA module uses primarily Code_Aster, which provides linear and nonlinear static/dynamic structural analysis. 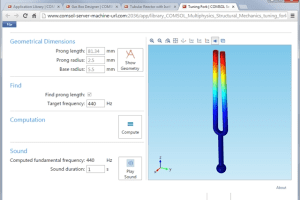 The CFD module uses OpenFOAM for fluid flow simulations with steady state and transient analysis. 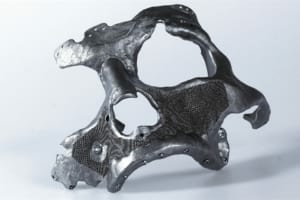 The Thermal module uses OpenFOAM for convective and conjugate heat transfer problems, and Code_Aster for conductive heat transfer and thermo-structural analyses. 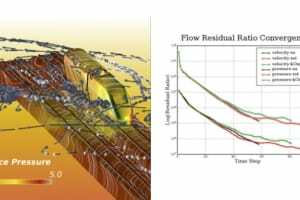 SimScale considers the advantages of cloud-based simulation services to be scalability, reliability and security. 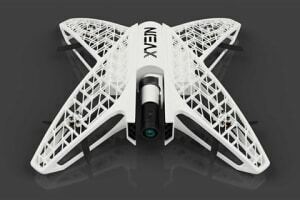 As for open source solvers, Heiny said that some of SimScale’s founders had background and experience with open source, so they brought in finite element solvers that were open source, which still continue to be used today. There are already the first proprietary closed source solvers in SimScale’s software stack and the company intends to build more technology partnerships, facilitating more capabilities on the platform. Some of SimScale’s customers that represent AEC and civil engineering include ARUP, WSP, Aqseptence Group, Thornton Tomasetti and L&T. 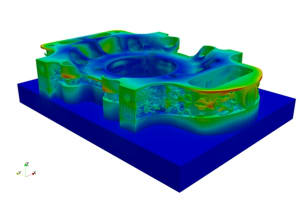 It has been a busy year for SimScale with a number of new and updated simulation releases using new techniques and providing better UX (or user experience). SimScale’s Workbench was completely reworked for improving productivity with decreased loading time and increased interaction speed. 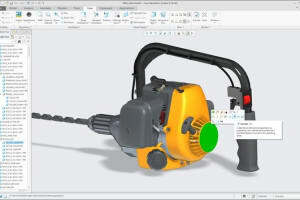 The new workbench consolidates the simulation workflow into a single tree with a step-by-step approach that simplifies set up. 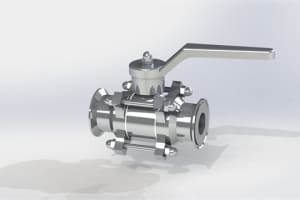 Users can now also perform a simulation directly on a CAD model, meaning that there is much less exposure to mesh generation, a process that can be error prone for novice users. This past summer, an improved online post-processor to accelerate performance for data load speed, visualization and manipulation, which the company claims rivals post-processing software on high-end desktop workstations, was released. You can now query results for a specific location, such as understanding surface pressures based on a building’s representation in wind load. Color map enhancements for improved visualization include options to choose color schemes and levels for better presentation of results. The post-processor also lets you use animation for visualizing transient and steady state datasets for a more comprehensive understanding of analysis results. 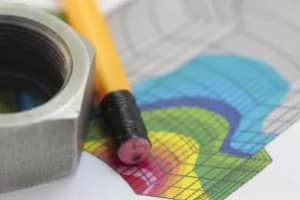 Recently, SimScale released a new GPU-based solver for mechanical and architectural applications using the lattice Boltzmann method (LBM). The new solver is unique because it boosts efficiency with the ability to run on multiple GPUs (up to 16) in parallel. 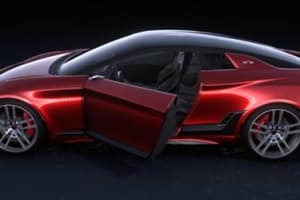 The company claims that this ability to run on multiple GPUs enables turnaround times that are 20 to 30 times shorter than traditional methods. 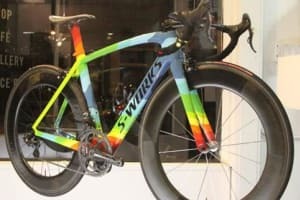 This first release was a virtual wind tunnel. 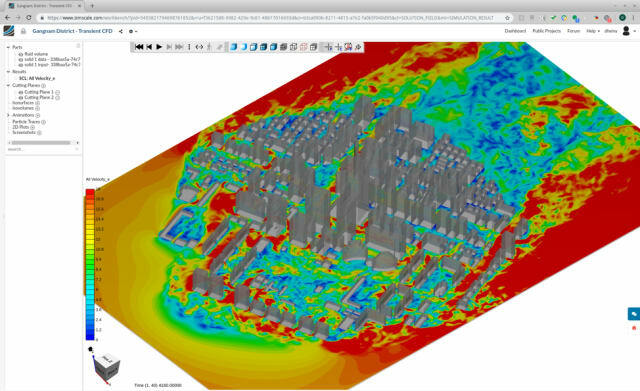 It provides high accuracy and speed for transient simulations, such as wind loads on buildings, pedestrian wind comfort and vehicle aerodynamics—all in a web browser. 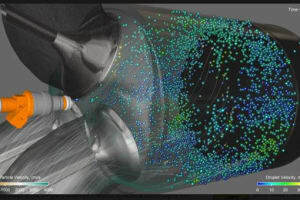 To develop the new LBM solver, SimScale partnered with Numeric Systems GmbH and used its Pacefish turbulence modeling tool, a unique implementation of LBM that maximizes performance with massively parallel GPU architectures. 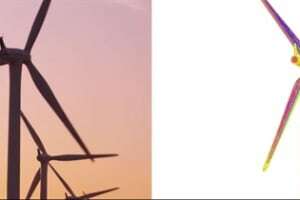 Several validation projects have been performed using the new solver that have compared physical wind tunnel measurement data with generated simulation results. 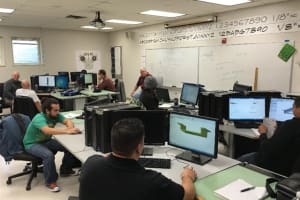 With SimScale being cloud-based, it’s not too surprising that it has formed close partnerships with cloud-based CAD developers, including Onshape and Autodesk (Fusion 360). 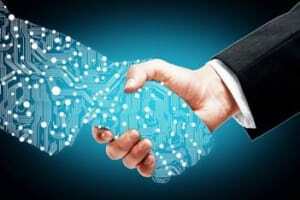 Things are looking very good for SimScale as cloud-based systems become more accepted and adopted. 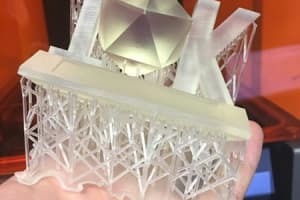 In fact, SimScale recently passed a milestone of 150,000 users worldwide—a 50 percent increase over approximately 100,000 at the end of 2017. The company is also expanding from Germany and opening an office in Boston. The primary reason is to be closer to North American customers. The secondary reason is for talent purposes—engineers, developers, and sales professionals. 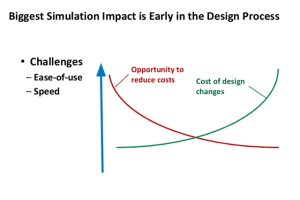 To this point, it looks like SimScale is succeeding and positioning itself well for the future of simulation. SimScale offers a Community plan that is free to all users willing to share their projects publicly. The Professional plan can be tested via a free 14-day trial. Getting started with the trial requires only a standard web browser. Currently supported browsers include Google Chrome, Mozilla Firefox and Safari.